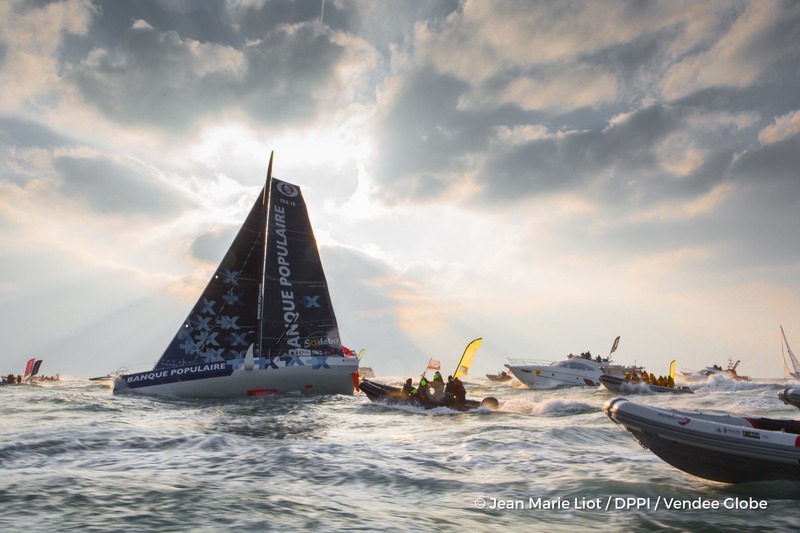 What is it like to win the Vendée Globe? What a week it has been for solo sailing. 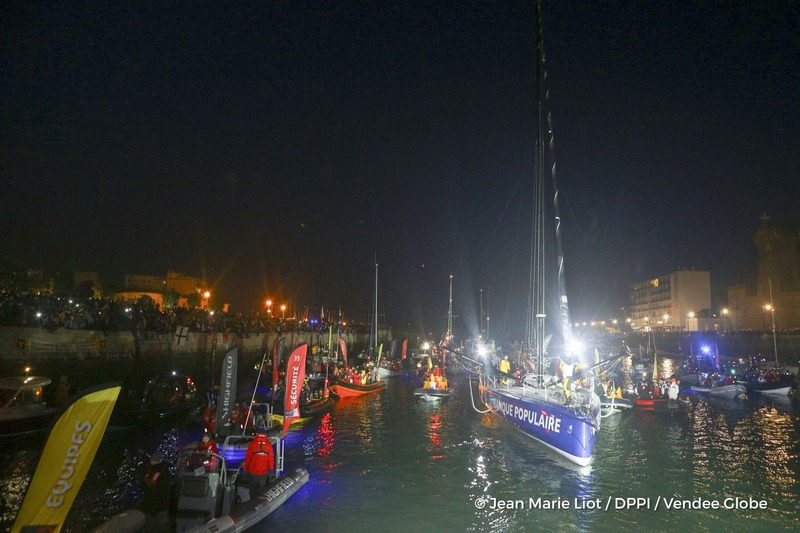 For those of you who have been following the final few days of the Vendée Globe you will have seen something like thousands of spectators, boats and cameras lining the shore of Les Sables d’Olonne. They have been welcoming home two sailors who have just sailed round the world completely alone and unassisted. Watching each of them cross the finish line was something else. The sudden realisation of what they had achieved, hitting their faces, was inspirational and I don’t think there can be many other feelings like it. The years of hard work it has taken Alex and Armel to get to get to this point has surely paid off. The final few days of the race kept me repeatedly refreshing the race tracker. Alex had somehow managed to eat away at Armels lead, reeling him and reducing an 800 mile lead at Cape horn down to 30 miles a day before the finish. But as Alex said when he stepped on the dock, there was little chance of him overtaking Banque Populaire with outright tactics and speed. Alex would have needed Armel to have a serious breakage onboard to be in with a chance of winning. It must have been an excruciating few days for Armel though, he could only watch as his lead disappeared and he has done a very impressive job of keeping a cool head and arriving at the finish first. What he kept secret while racing was that he in fact did have breakage and lost the use of a crucial sail. Having finished second in the 2 previous editions of the race will make the victory even sweeter. Armel and Banque Populaire being escorted in on the final stretch to the finish. 74 days, 3 hours, 35 minutes and 46 seconds. The new Vendée Globe record which is a staggering 4 days less than the previous record set by Francois Gabart, the winner of the last edition of Vendée Globe. 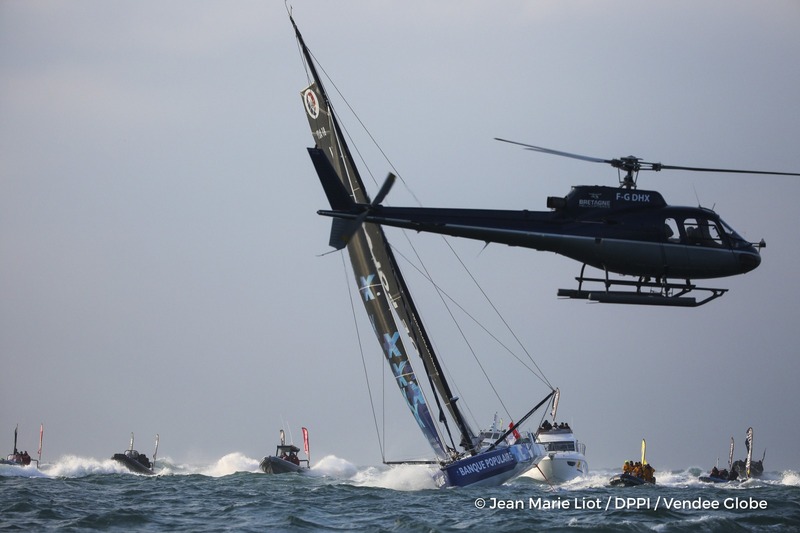 It goes to show that the cutting-edge technology of Ocean Racing is advancing at an ever increasing rate. We have seen the addition of hydrofoils to the yachts which a lot of people doubted would make it all the way round the world without breaking. 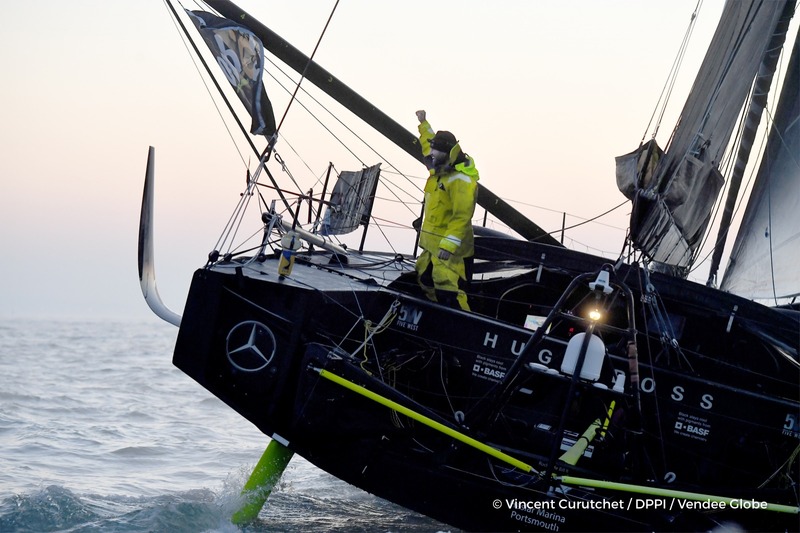 The finish of this Vendée Globe has proven that it is possible and that it is a technology that we will see more and more of in the next few years. Who knows how quick the record will be in 4 years time? For myself, to see the emotions of Alex and Armel having finished such an amazing race drives me to be at the start line in 2020. All I could think while watching Armel being interviewed was what is he feeling right now? 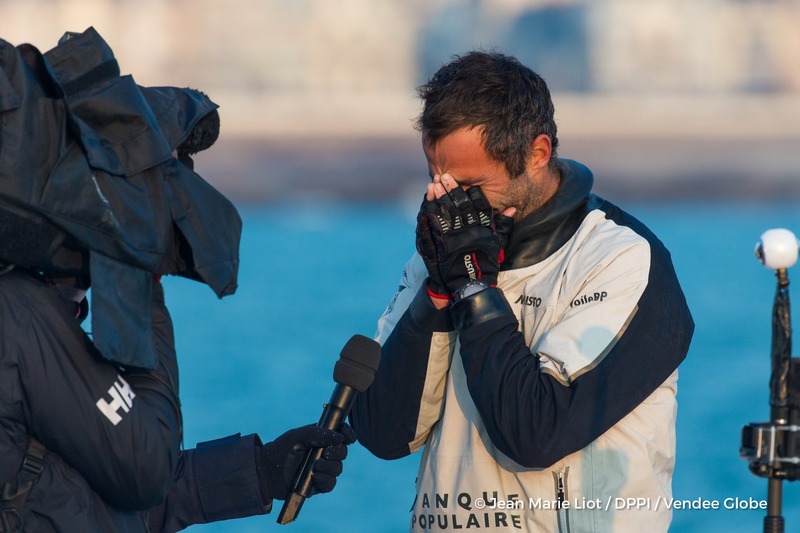 What is it like to win the Vendée Globe? He has just spent 74 days at sea alone, having won the toughest solo race and now has thousands of supporters surrounding him and cheering him on. I’m sure there are few words to describe his emotions right now, but I have a burning desire to answer this question for myself. I look forward to watching the arrivals of the 16 other sailors due to finish over the next few weeks. Just to finish this race requires a rock hard mentality and they will all be rewarded with an achievement of a lifetime. Having only one British entry in this race is something that needs to be changed for the next edition and I hope we see some more commercial backing in the UK to achieve this.